Ask a Specialist: Can I Use Items from My Kitchen Pantry for Lawn Care Remedies? 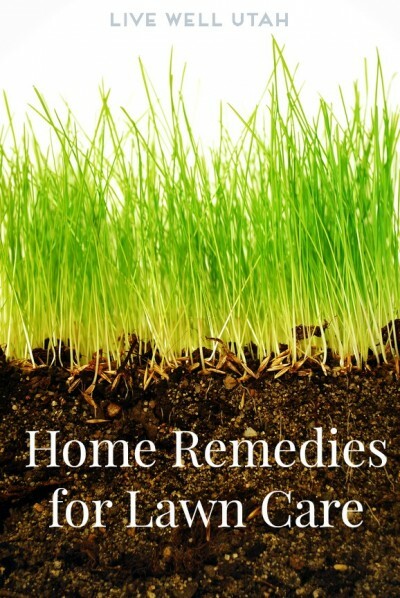 There are several reasons to consider using home remedies rather than commercial fertilizers and herbicides in the yard and garden, including sensitivities to chemicals and concern that such chemicals are unhealthy or present significant environmental hazards. Consider this information. * A good alternative to manufactured fertilizers is compost produced in an out-of-the-way location in the back yard. Place grass clippings, leaves, food waste from the kitchen, pet feces and other such items in a pile. Mix the materials and allow time, moisture and temperature to produce compost. Use multiple compost piles to allow older materials to be applied while newer items are processing. * To control weeds without using manufactured herbicides, the best option is to pull, remove or interfere with weed growth. Regularly pulling, hoeing or mowing weeds and encouraging grass to grow and out-compete the weeds is an excellent solution. A variety of household items, such as newspapers, can be used as weed barriers. Lay the material down to prevent sunlight from reaching the unwanted plants, and cover with mulch or other plant-resistant material. Be cautious about the weed barrier material used because items such as plastic shower curtains or old tarps are good barriers but can be difficult to work with later when it is time to rework the site. * Many people promote the use of common household items in place of herbicides, though this is not preferred. Herbicides kill unwanted plants. Some herbicides are selective – killing just grass or just broadleaf plants, while other herbicides are non-selective – killing all plants. Some herbicides are contact pesticides – killing only the parts of the plant contacted, while other herbicides translocate through plant tissue to kill all parts, above and below ground. Most of the fast-acting home remedies act as non-selective, contact herbicides that kill only the plant parts contacted and all plants treated. * Common home remedies include a variety of petroleum-based products such as gasoline, diesel, kerosene, oil products, solvents, etc. These products will certainly kill plants, but they also present fire and environmental hazards. Other home remedies include boiling water, salt, bleach, vinegar, alcohol, dish soap, borax, baking soda and numerous caustic cleaning products such as oven cleaner. All of these products will kill plants if applied at a high enough concentration and with repeated applications, however, this can be expensive and/or time consuming. If home remedies are to be used, products that are normally consumed are the safest, but not necessarily the most effective. It is also important to consider who or what pets or wildlife might come in contact with a treatment site. For people who do not wish to use traditional chemical herbicides, it may be best to consider one of the newer eco-friendly products. Purchase an EPA-registered herbicide made with products similar to the safe home remedies. Such items are sold in a ready-to-use spray bottle with application instructions and safety recommendations. Work safely. Direct column topics to: Julene Reese, Utah State University Extension writer, 435-797-0810 or julene.reese@usu.edu.